Here in this post I will explain how to compile and install Linux Kernel 3.0 and Linux Kernel 3.x in Ubuntu. 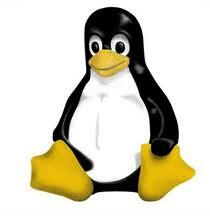 Linux Kernel 3.8.8 is the latest stable release and you can download it from kernel.org. If you are new to Linux then I strongly recommend you try with Linux Kernel 3.0 and you can later patch it with Linux Kernel 3.8.8. 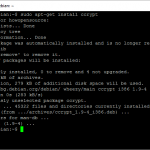 If you don’t like to compile the kernel, then you can directly install the debian packages Click Here. Update: Follow the same steps to compile and install the Linux Kernel 3.8.8 / 3.7 / 3.6 / 3.4 / 3.2 / 3.0.x in your system. If you are trying with Linux Kernel 3.8.3 / 3.7 / 3.4.6 / 3.3 / 3.2 / 3.1 / 3.0.x then just replace the name linux-3.0 with linux 3.8.3 / linux-3.7 / linux-3.4.6 / linux-3.3 / linux-3.2 / linux-3.1 / linux-3.0.x in all commands below. The above command will install the Linux Kernel 3.0 into your system. It will create some files under /boot/ directory and it will automatically make a entry in your grub.cfg. Check whether it made correct entry and check for the files it created. If you unable to find the initrd.img-3.0.0 file then create it. Run the below command to create it. If the above command unable to update / generate the initramfs then run the following command to create new initramfs. Your grub.cfg file should be like the screen shots(example) below if not edit it. To modify the grub.cfg under “/boot/grub/” directory. Open the file using below command. After modifying your grub.cfg, update your grub by running the following command. Which is your default OS, Linux Mint or Ubuntu. If its Linux Mint, then update your grub in Linux Mint. I uninstalled grub 1.99 and reinstalled grub which switch it from linuxmint custom back to ubuntu’s i guessing but eitherway it worked perfect and all show up now. /boot/initrd.img-3.1.0-rc4 does not exist. Cannot update. Yes, If its unable to update the initramfs file then you need to create it using -c.
If you build a new kernel you cannot use ‘update-initramfs -u’ as there is no initramfs to update yet. You can only create a new one ‘… -c’ and then update at some point if necessary.. I think kernel 3.0.3 is not installed in your system. After running the below command what the output your getting? And can you able to find the files (System.map-3.0.3, vmlinuz-3.0.3, initrd.img-3.0.3, config-3.0.3) under /boot directory. Hi . When I run this command I found drivers are installing. and I create initrd.img-3.0.3 . The other files exist. I thinck your right .it is a problem from my system. I tried this, but how do I get /usr/lib/firmware/3.0.0 file. In my last step sudo updatre initrm, it gives errors saying missing firmware. I hope you are still reading the blog! I have not yet come across this error, will check it and come back to you soon. Your using Debian OS isn’t it? Check for the updates. Make a menuentry in your grub.cfg file. The menuentry should be like the screen shots which i have given under “update-initramfs” step. But this didn’t solve the problem with the Cinergy T Stick Black. 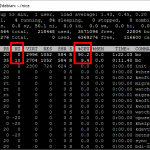 make: *** /usr/src/linux-headers-3.0.4: Datei oder Verzeichnis nicht gefunden. Schluss. How should I proceed now ? Did I miss someting by upgrading to kernel 3.0.4 ? How do I get the linux-headers-3.0.4 ? I am not clear about this errors, Here you are building a new kernel, If you just want to update the kernel to new one (3.1/3.0.4) then you can follow this guide http://www.howopensource.com/. Or if you want to install the linux-header-3.0.4, you can download it and install the same way from the above link.. Thank you very much, it works now for me. I had missed the above link. Can somebody explain to me if there are differences, and if so which, between installing a pre-compiled kernel and compile one with the above mentioned instructions? I have installed kernels before but always the pre-compiled ones. Now I just wonder will it make a difference? Who can help me with this question? There is difference between pre-compiled kernel and customised kernel. the kernel can be customised to work for specific hardware and user needs. for e.g you don’t want someone to access the NTFS partition on linux machine..
Then u can uncheck the NTFS support while customising the kernel. By this way customised kernels help in adding drivers for printers, Lan ports etc. for the latest ones which are not supported by pre-compiled kernels..
I’m using this method to compile kernel 3.1.2 and getting following error. Please help me out from this trouble. And let me know what is missing for compiling(for make command). Hi, I want to get the option of booting to one of the desired kernels e.g 2.6 or 3.1 during startup , not something default . The steps above directly took me to 3.1.5 without any chance of rebooting to another kernel . Is there a way to attach that option . Modify your grub and make entry for other kernel(2.6), then set timeout=10. I have not yet tried in vm machines. I will try to check your errors and will get back to you on asap. Use this command “sudo update-initramfs -c -k 3.2.9″ to create it. Thank you very much, it works now for me. how i am having ubuntu 11.10 .. for study purpose i want to learn abt kernel compilation. I want to know how to edit the grub that i can able to choose my kernel. Previously i used slackware where i edited lilo to make it work. Setup is 16800 bytes (padded to 16896 bytes). discard rts5139 module when doing ‘make menuconfig’. what must i do? please help me..
After compiling and installing, the freshly compiled kernel doesn’t seem to find the device (with correct UUID, same as used on precompiled kernels) and the system drops a shell… Any idea? I have installed ubuntu 11.04 on my system. After this when I used to give uname -r it showed me kernel version as 2.6.38. Now I had downloaded kernel 2.6.34.12 from kernel.org and installed it using the steps above. In /lib/modules also I can see the new kernel 2.6.34.12 folder. Then I checked the grub.cfg and it showed me an entry for 2.6.34.12. But after reboot uname -r still shows me the previous version 2.6.38. What is the issue and why new kernel version is not installed? Your current kernel is newest and stable one, May I know why you are trying to downgrade the kernel by compiling the oldest version? you can try the compilation on latest Linux kernel. I am done with the installation of the latest kernel. Now I have to install CILK but since on extracting the package it doesn’t contain the configure file I cant make and then install it. Im new to linux so can you please guide me. I know im posting this at the wrong place but im completely stuck. Thanks Mani for such nice and clear steps to build and install the kernel image. I have done it first time on my Ubuntu 12.04 LTS running with 3.2.0.23 and upgraded to 3.4.6 successfully. I had only one issue as: __modver_version_show undefined error when building linux kernel 3.0.4 version. And this was resolved just updating the CONFIG_RTS5139=m to CONFIG_RTS5139=n followed by re-compilation. After the install command, all the four files above have been successfullly created under /boot/ and I need not had to do it manually. dkms.conf: Error! No ‘BUILT_MODULE_NAME’ directive specified for record #0. > Error! Bad conf file. > does not represent a valid dkms.conf file. Well I went ahead ignoring this, as the four set of files were in place and after update-grub, even the header were in place. But.. When I booted, the ‘X” won’t come up! instead the text mode asking me to log in came, and a pop up indicating the X server.xorg need to be in place, even the latest nvidia driver I tried to install via sh command, wont install after the acceptance screen. Help me out I will not sit comfortably unless I boot with this latest kernel !! What exactly happens after the acceptance screen while installing the Nvidia drivers? Error message ? hey i got a error like not have enough space can you tell how it can be solve? The upgrade worked (with Ubuntu 10.04, to kernel 3.6.2), and my microphone works again, which was my primary goal. However, the apt repositories I have now seem obsolete. Any suggestions on how to configure apt to get updates to the kernel, headers, and drivers? I have a Sandy Bridge graphics card. Instead of the boot splash screen, I get a blank screen. Any ideas on how to fix? After installing kernel 3.0 on Ubuntu Lucid, touchpad does not work on Acer V5 laptop. Any ideas? will that work for linux kernel 3.2.0 ??? Can I do that in Ubuntu 14.04 LTS ?